The overwhelmingly popular Kyoto kaiseki takes the top spot! Delicate and beautiful, the classic Japanese dishes served at a Kyoto kaiseki meal are suited to the four seasons, and the elegant seasonings elicit the flavors of each individual ingredient. The food is enjoyable to both the eye and the palate, and comes with a full serving of warm hospitality, too. 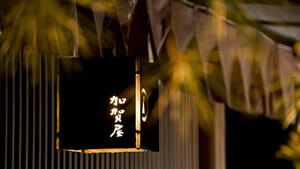 Partake of the quaint atmosphere of Kyoto, where there are many restaurants where you can relax and enjoy a meal. Not to be missed! 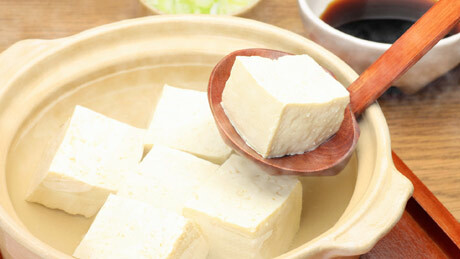 "Yudofu" means warm boiled tofu. This dish came in at second place. Because it is simple cookery that concentrates intense flavors into essentially mild tofu, each shop serving yudofu is motivated to use a unique recipe. Enveloped in a cloud of rising steam and a savory aroma, the soft tofu nestles into bowl of broth elegantly flavored with selected kelp and dried bonito. Garnishes are seasonal and unique to Kyoto. With a meal of yudofu, you can take delight in the pleasures of Kyoto's four seasons. 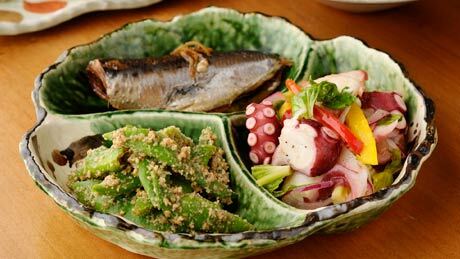 The in-season ingredients and hand-made ingredients at these Kyoto family-style meals are yours to enjoy without the hassle of home cooking. Obanzai came in third. At an obanzai meal, you can sample small amounts of many favorite dishes. The simple, healthy seasonings bring out the best in each fresh ingredient, making it very popular among ladies. Many Kyoto restaurants stay open until quite late, so be sure to make time to sample the city's best. Yuba (a delicacy made from the skin of gently boiled soybean milk) cuisine is an indispensable part of Kyoto's food culture. 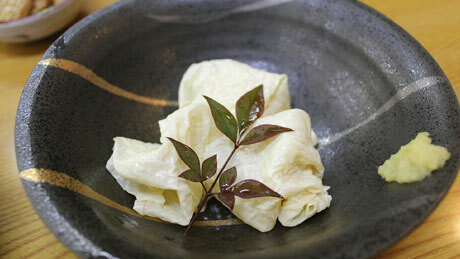 The pastry-like yuba sheets are white, soft, and thin. 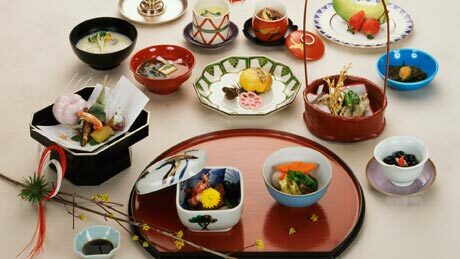 In the classic Kaiseki cuisine popular with tourists, yuba is used in a variety of dishes, either fried, simmered, or as a soup ingredient. The healthy properties of soy isoflavones make these dishes recommended for women. 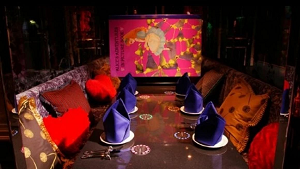 Even at specialty restraurants that look expensive, you can enjoy affordable yuba dishes for lunch. Go ahead, feel free and try them once! Here is the heart of Kyoto's world of fabulous cuisine. Hamo is a special neighborhood with a concentration of fine restaurants and establishments, all offering exceptional dining experiences. Shabushabu, tempura, and many other tasty, refreshing dishes are served. The amazing shining knife-work of the cooks is also worth seeing. By all means, come to Kyoto in the summer and partake of its exquisite culinary repasts. Kyoto's own pickles start as locally-grown vegetables. They are then carefully pickled by traditional craftspeople using a different recipe for each type of vegetable. These pickles are delicious when paired with a brew of hojicha (roasted ) or perfect with ochazuke (tea-over-rice). 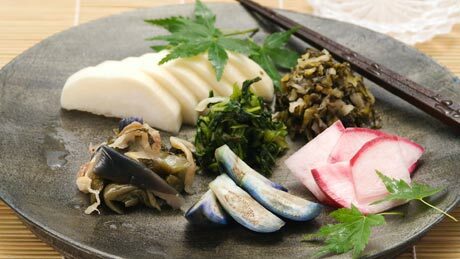 Kyoto's most famous types of pickles are senmai-zuke, suguki-zuke, and shiba-zuke. There are numerous pickle shops in Kyoto. Each makes its own unique pickles...sample them all until you find your very favorites! Kyoto vegetables are truly exceptional. 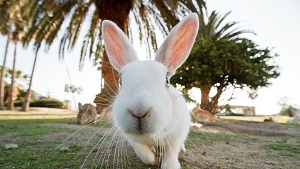 They were born and bred locally to be sweet, aromatic, easy to use, and to hold up when cooked. They are the backbone of Kyoto food culture not only for the nutrition they offer but also for their indescribably blissful flavors. Having started out in familiar Japanese standbys such as miso-baked kamo eggplant and simmered shogoin radish, this amazing produce has now also found its way into the appetizers served at French and Italian restaurants. Look, taste, and find! 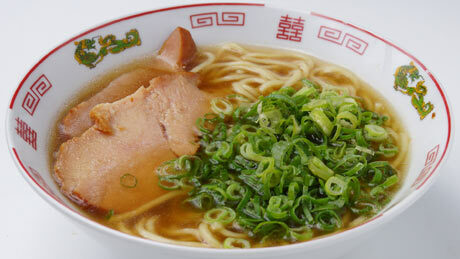 In fact, Kyoto prefecture is a ramen battleground! Kyoto ramen is the generic term for the noodles served in the shops at the city center. They feature any of three types of broth: chicken, soy sauce based, or light pork oil. The noodles are usually straight, with generous toppings of Kyoto vegetables such as kujo leek. It's also fun to try different ramen shops for different moods, for example, when you are ravenously hungry, or when you just want a bowl to finish off a great night on the town. Herring soba (buckwheat) noodles, at rank #9, is said to have been invented in Kyoto. 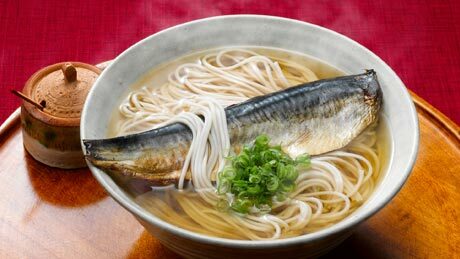 Strong savory boned herring is matched with spicy sweet seasoning, and it tops off soba noodles that come with an elegantly made Kansai-style broth. 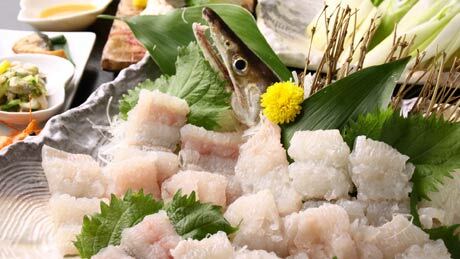 The soft-textured herring is an exquisite accent to the slippery soba. No doubt the stomach will also be satisfied. In 10th place is the stimulating dish of whitebait with hot peppers. The sweet-spicy whitebait paired with the peppers are so appetizing. As you would expect, they make a delectable topping on warm white rice. 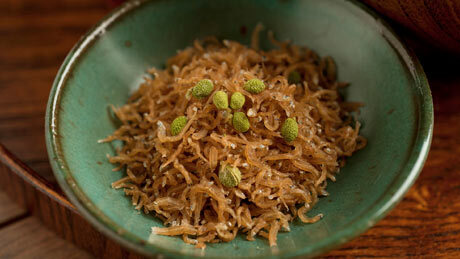 And as a versatile side dish, they are perfect with ochazuke (tea-over-rice), and also a great match for a cup of sake. 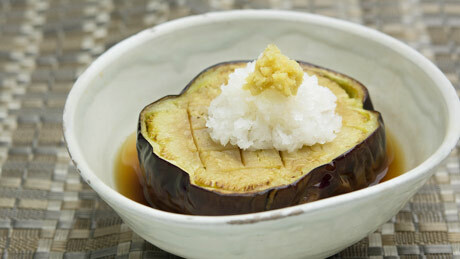 The taste can vary widely because innumerable Kyoto cooks make this dish, both at restaurants and in home kitchens. Dried whitebait can also be bought packaged to go, making them a perfectly tasteful souvenir. 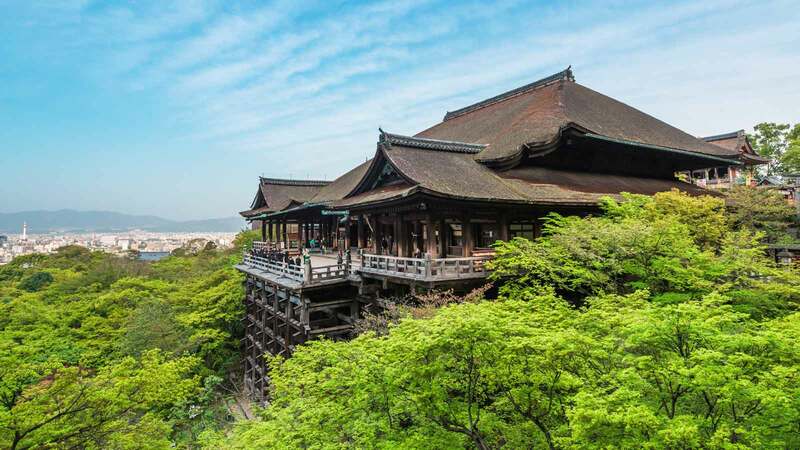 *This ranking is based on results from a survey sent via email to Rakuten Travel users who stayed in Kyoto between July 15, 2014 and July 15, 2015 (excluding residents of Kyoto Prefecture). 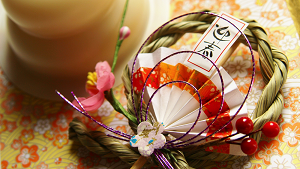 Here are 14 tips on how to celebrate the New Year according to Japanese tradition! Japan has a reputation being both hip and also bizarre--these dining experiences live up to that reputation and then some. 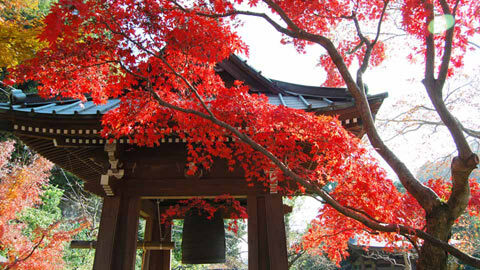 Kamakura boasts many shrines and temples associated with samurai; during fall they are especially beautiful! 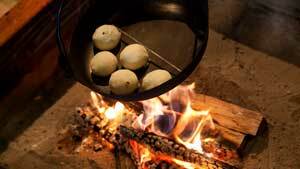 Also known as "kominka yado", these historical and charming inns have built up a reputation for indulgent local cuisine. 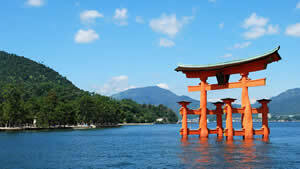 Japan is rich in legends and folk tales, some of which are linked to actual places you can visit. 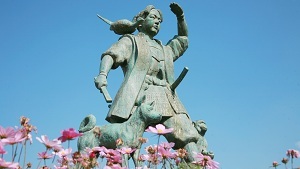 "Top 3" rankings with names like "Three ____ of Japan" have always been popular in Japan. Get some ideas for your next trip!